Dental health is an extremely important part of your pet’s overall health, but is often the most overlooked. Proper dental care can detect dental disease that not only impact the mouth, but that also leads to more serious health issues such as heart, lung, or kidney disease. Your pet’s teeth and gums should be checked by a veterinarian at least once a year for prevention and early detection of disease. 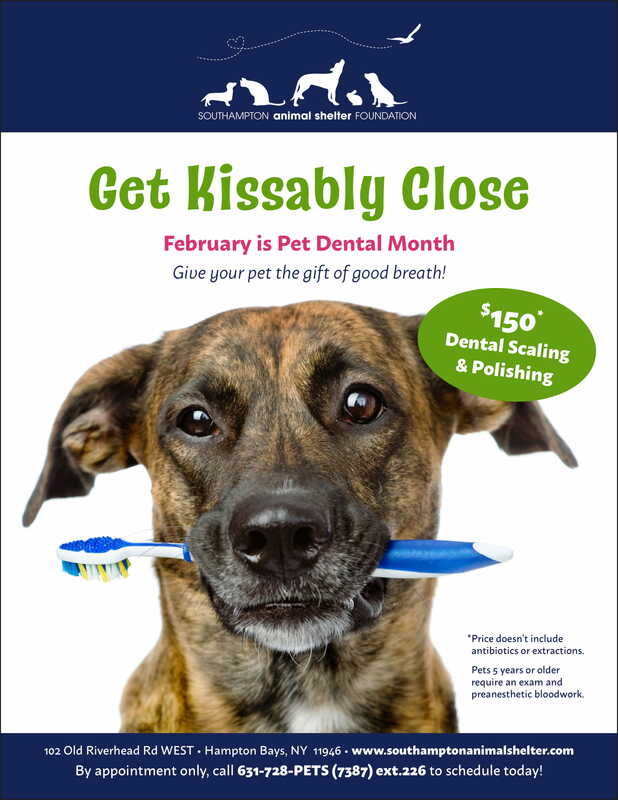 Because of this, we are offering our dental polishing and scaling at a discounted rate for the month of February! Schedule your February appointment today!